A crowd of men and women are brawling, some have fallen off the benches onto the floor. Etching. 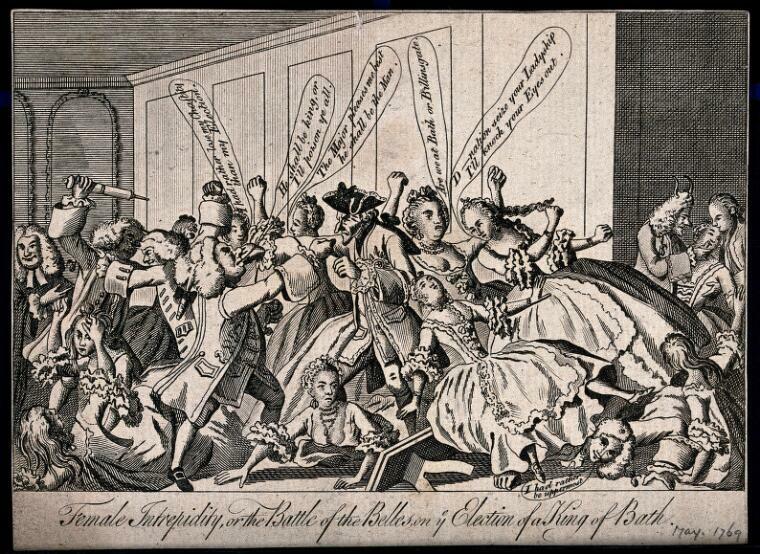 Female intrepidity, or the battle of the belles on ye election of a King of Bath.